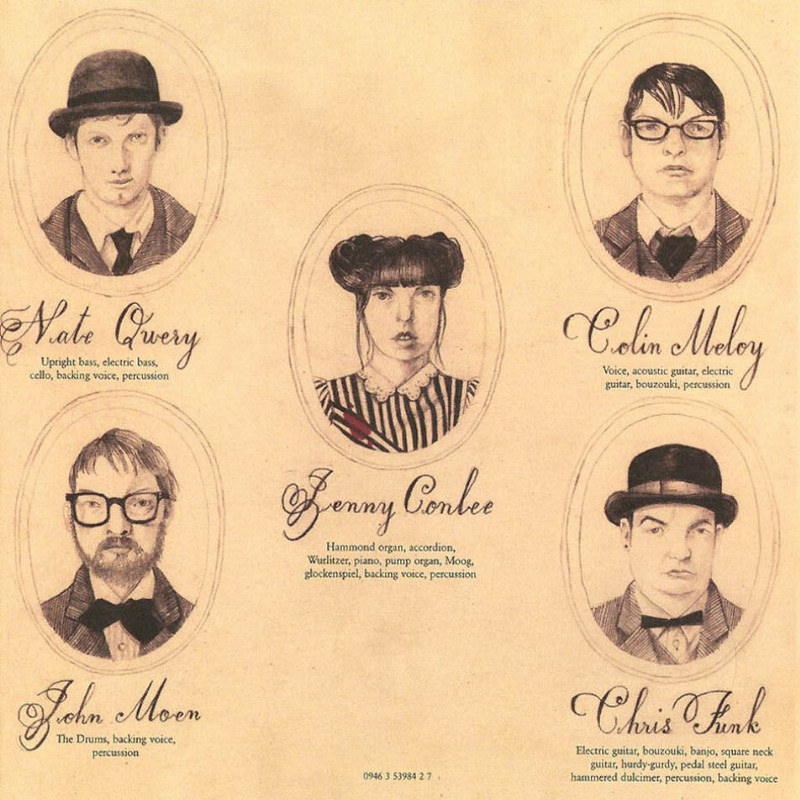 Can you believe it's been ten years since The Decemberists released their album, based on Japanese fairy tale The Crane Wife? There's a whole new special re-issue box-set for enthusiasts being released on December 9th, 2016, and for Decemberist fans, sounds like it's more than worth adding to your collection. 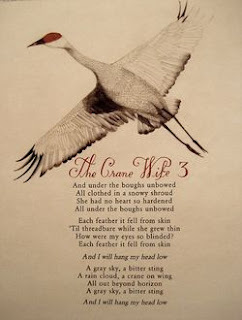 Pitchfork: Can you amplify the symbolism of the crane wife? Not the album, but the actual story. CM: It's a story about a peasant living in, I assume, rural Japan, it being a Japanese folk tale. He finds a wounded crane on the road as he's walking one night. It has an arrow in its wing, and he pulls out the arrow and revives the crane. 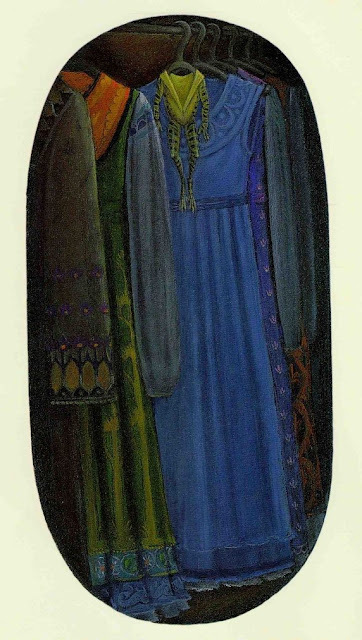 A couple of days later this mysterious woman shows up at his door and he brings her in. Eventually, they fall in love and are married. Although they're poor-- she's a seamstress, a weaver-- she suggests that she can make this cloth that he could sell and make money. 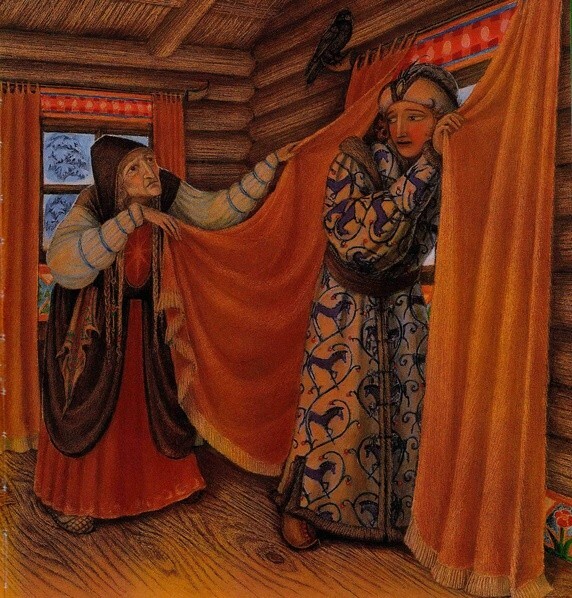 But the one condition is that when she's weaving he can't look into the room at her weaving. 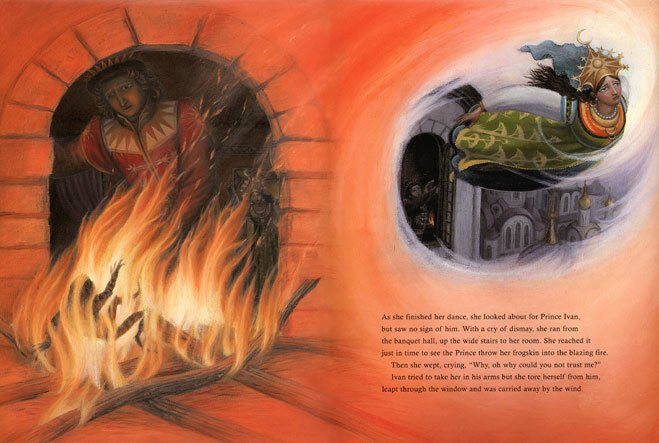 This goes on for awhile, until eventually the peasant's curiosity gets the best of him and he looks in. It turns out that the woman is a crane, and she's pulling feathers from her wings and putting them into the cloth, which is what makes it so beautiful and soft. 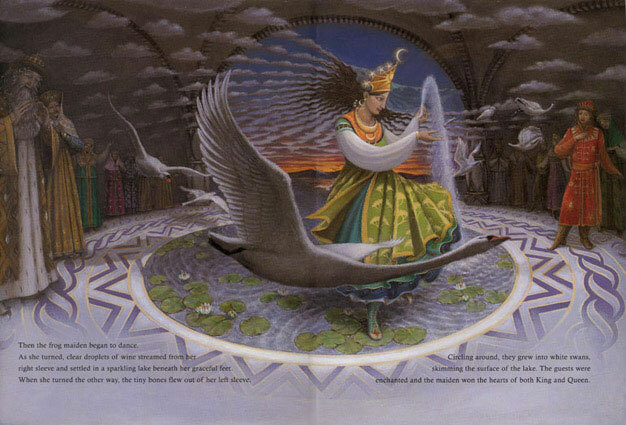 Apparently, having looked in at her breaks the spell and she turns permanently back into a crane and flies away. Pitchfork: Wow. That's almost identical to the Greek myth of Orpheus and Eurydice, isn't it? Where he's leading her out of Hades and he's not allowed to look back, and finally his doubt and curiosity get the best of him, and he looks, and she fades away forever. It's the same narrative arc unfurling in a different culture. CM: Yeah, and having read the crane wife story, it's tough to pull a lesson out of it. It has something to do with greed, or curiosity, but why his looking in at her breaks the spell is a little ambiguous. The thing that I could tie it to was the Greek myth. It's interesting how they can be divided by centuries and continents, and these stories still manage to say these same things. It just shows you the universality of certain stories. Pitchfork: You seem as interested in the basic forms of storytelling, the way narrative elements play out toward an inevitable denouement, as you are the stories and characters themselves. Do you think the two constructs-- stories and how they're told-- can even be bifurcated that way, or are they inextricable? CM: As important as it is, in novels or short stories, to have well-developed characters, it's just as important to abide by a strong narrative arc, where you have development and crisis and conflict and resolution. I think it's just another universality, that people like to have their stories given to them that way. So yes, the way the story is told is really important, because I think the story then dictates the lives of the characters. Pitchfork: Are you interested in classical tale cycles as well, the tales-within-tales thing? I'm thinking of things like Boccaccio's Decameron and the 1001 Arabian Nights. 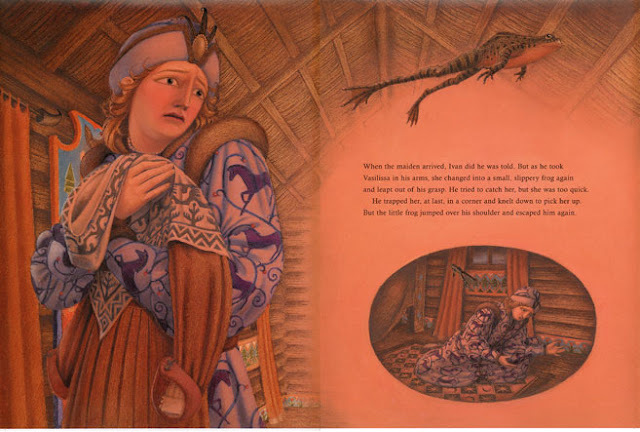 It seems to have a lot of utility for records like The Crane Wife, being filled with trapdoors that plunge you deeper and deeper into the story. CM: Yeah, I read that stuff in school; I don't know if I've gone back to it. But I think it's a nice literary concept. Pitchfork: The Crane Wife also features a reappearance of what seems to be one of your favorite themes-- the doomed, star-crossed lovers divided by class and fate, who wind up horribly. What is it you find so resonant about this very Shakespearean concept? CM: I don't know, it's just a universal idea that's lasted over time. It's an archetypal storyline, so it means a lot; it carries a lot of baggage. You can draw a line through it to a hundred other stories. I've always been attracted to that sort of tragedy. Pitchfork: It seems that this is really where your interest lies-- these archetypes that are timeless and cut across cultures, occurring in different formats with the same narrative arc. CM: And hopefully that's what makes it something people can relate to. Because it's programmed into our heads to relate to these stories in certain ways. Music folk will be interested in the whole article, which you can find HERE. 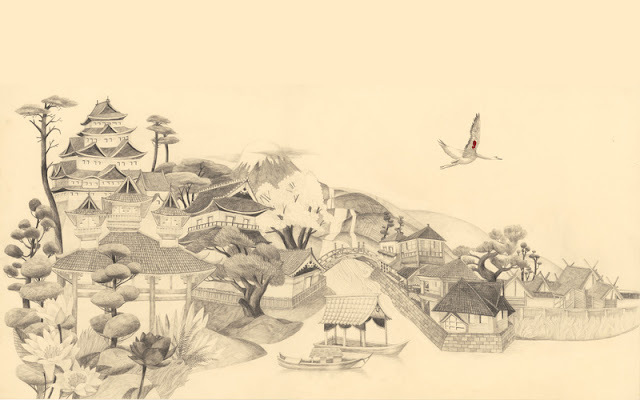 those demos is a version of the three-part "The Crane Wife" together as a single song in its original sequence.An accompanying 20-page booklet will feature Miranda's essay alongside new liner notes from Fricke. The collection will also include a Blu-ray featuring the Decemberists' 2006 concert at Washington D.C.'s 9:30 Club, which was filmed for NPR's second-ever webcast and had previously not been given an official release. 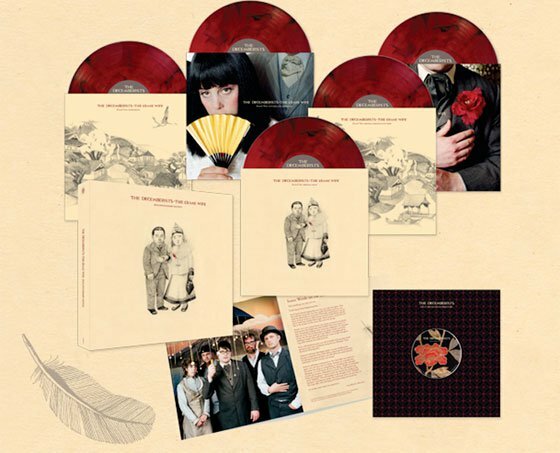 The Crane Wife 10th anniversary box set is available to pre-order now via the Decemberists' website. The band is also offering a special version pressed on marbled red vinyl, limited to 500 copies. You can read the extensive track list for the five albums HERE. 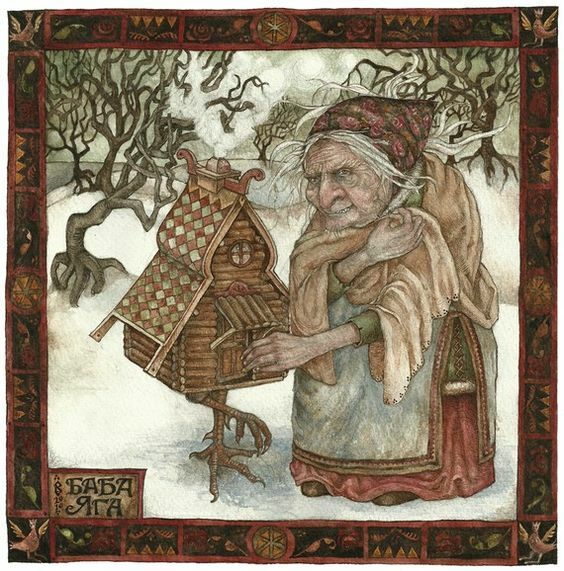 Ask Baba Yaga: How Can I Stop Craving Male Attention? 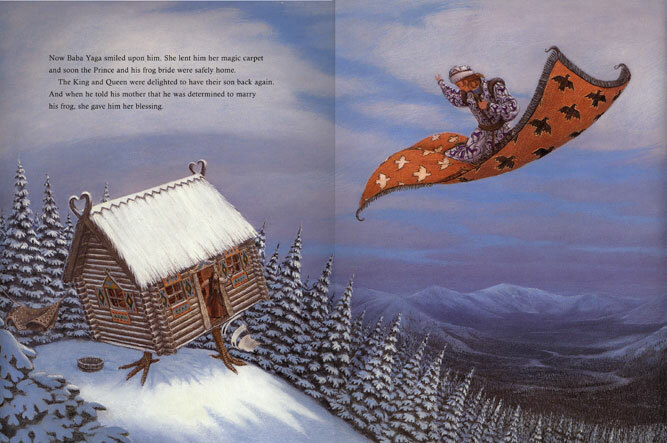 "Yr shawl is covered in mirrors.." How does Baba Yaga spin such succinct and vivid descriptions? Yes. Must remember this. It would apply very well to one person as well as many. 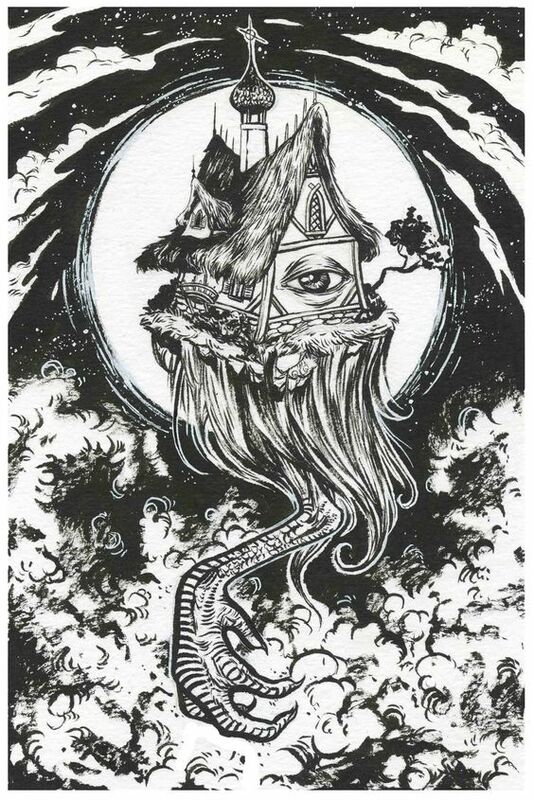 Thanks Baba Yaga! 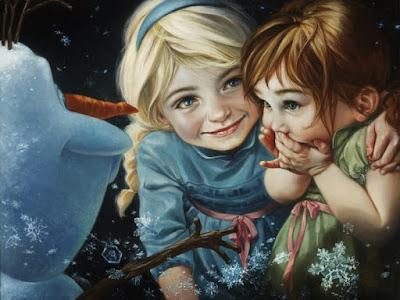 We're only curious to see if the new making of - or Frozen special - actually addresses the story behind the story and other fairy tale inspirations. Neither the Blu-ray, nor the Making of Book was exactly forthcoming on any of that. 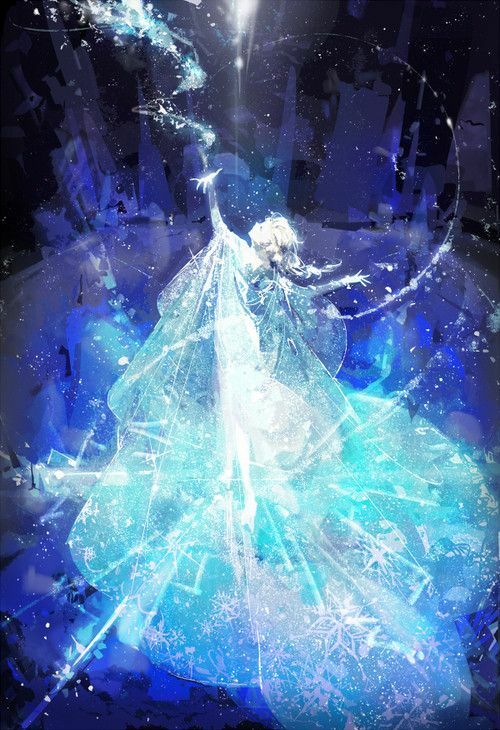 In fact the content for both was pretty sparse and very light on actual information - very disappointing, especially considering the very long and detailed history of Disney trying to make Snow Queen. We don't have high hopes, but we're keeping tabs because when you least expect it, there are those gems.. 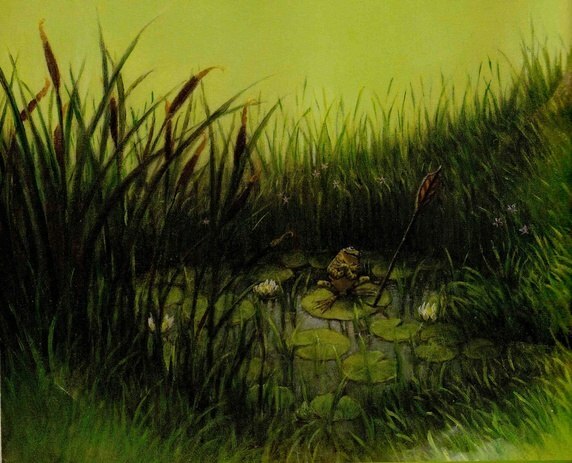 The AFTS Member Ezine Issue 02: The Frog King, or Iron Henry, is out! 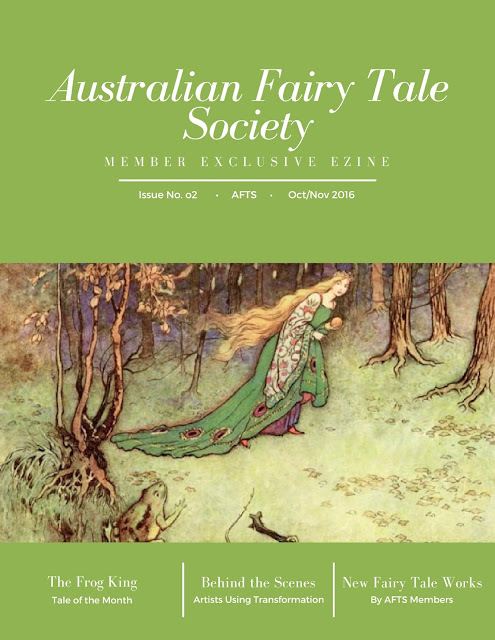 Note: If you are a registered member of the Australian Fairy Tale Society (ie your membership fees are paid up to date), and haven't yet received notice via email, along with the link and secret password, please contact the AFTS via Facebook private message HERE or email them directly at austfairytales@gmail.com. They'll hop-to-it and get your goodies to you ASAP. 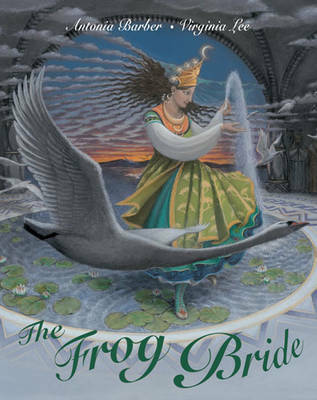 We've had frog kings, frog princes and frog princesses on the brain for weeks now and in celebration of completing a great compilation of new frog-themed fairy tale works, packaged into the unique fairy tale magazine, we thought we'd share mythic artist, Virgina Lee's lovely, lovely book The Frog Bride, based on the Russian tale The Frog Tsarevna - a story we love and wish we could have explored much more in the last issue. 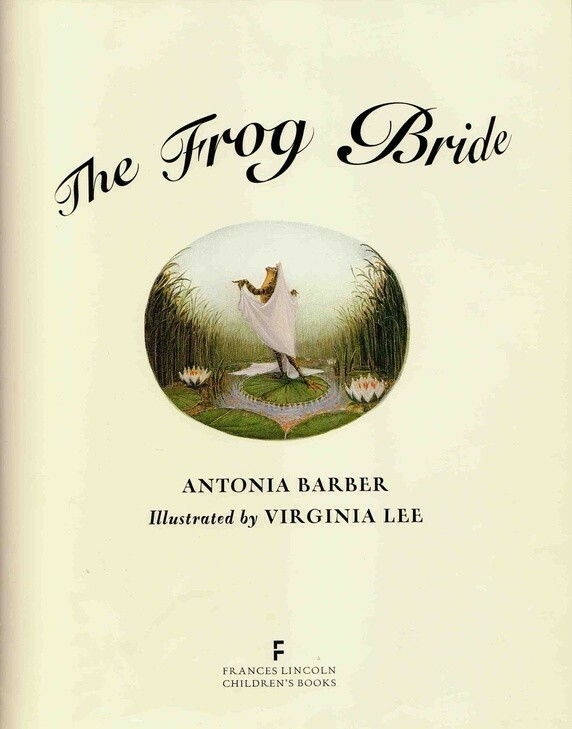 My first children’s book ‘The Frog Bride’, undertaken 7 years ago, is a shortened version of The Tsarevna Frog, a traditional Russian folk tale retold here by Antonia Barber. 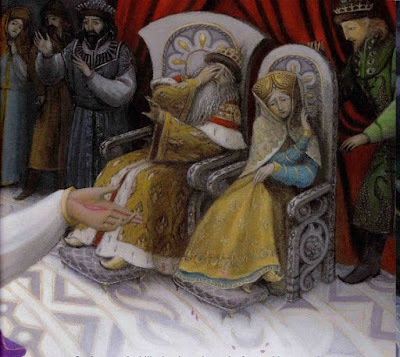 It features a slightly camp Prince Ivan with Princess Vassilisa, who has to take her frogskin off and put it on again, rather a lot. 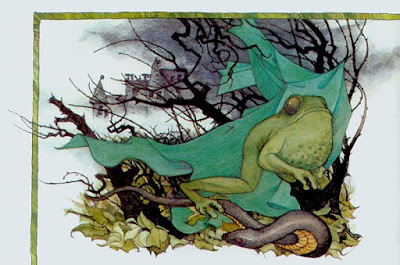 In this quest for true love and acceptance, Vassilisa tirelessly tries to impress and capture the hearts of the prince and the royal court by performing her magic and revealing her innate beauty, when all she really desires is to be fully accepted for her less desirable appearances and habits, frogskin and all. I didn't actually write it myself but it was my choice of story. 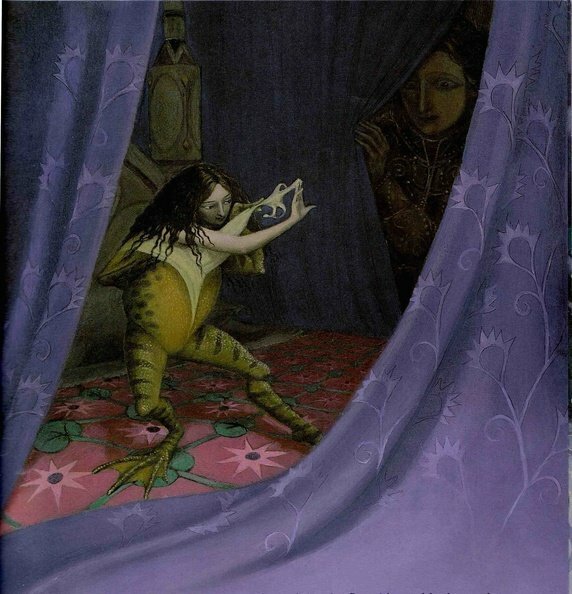 I chose it mainly because I wanted to illustrate a girl taking off a frog skin. 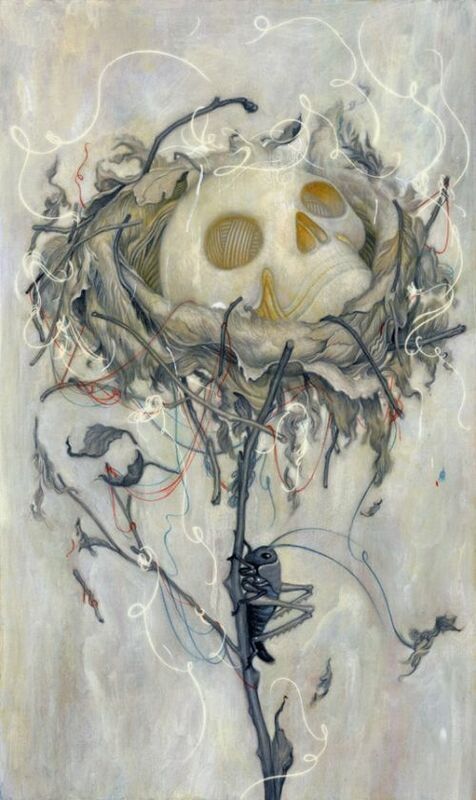 I'm always drawn to the physical transformations in stories and what they symbolize. 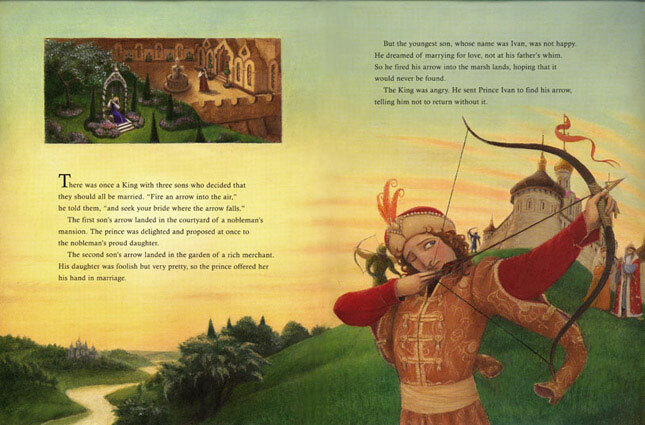 Virginia Lee put a lot of love and artistic skill into the illustrations in this book and it could use some more attention (ie. 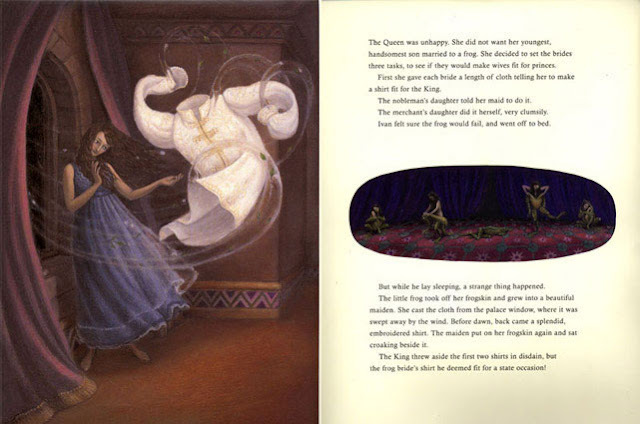 sales) to boost the demand for more gorgeous illustrated books like it. 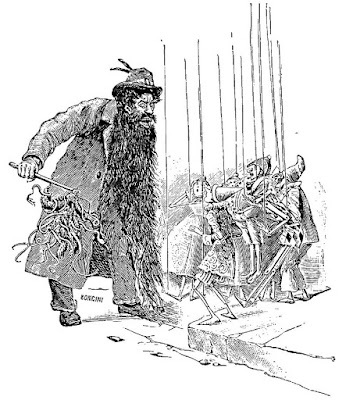 Don't you just love the hung-up frog skin in the wardrobe? Such a lovely touch! Note: the paperback version has this cover below. This is pretty exciting news hitting the newsroom this morning! Just an hour(ish) ago, Deadline announced that Matteo Garrone, who is set to do his personal reimagining of the Italian fairy tale classic, Pinocchio, by Carlo Collodi, has cast his first actor. Toni Servillo (The Great Beauty) will return to work with Garrone as Gepetto, Pinocchio's father. While aware that Tale of Tales isn't a film for everyone, we thoroughly enjoyed it and thought it translated the difficult text of the tale extremely well from book to film. (Review coming soon.) As a result, we're now very (very!) curious as to how Garrone sees Pinocchio. We expect wonderful, artful, and yes, magical, things. 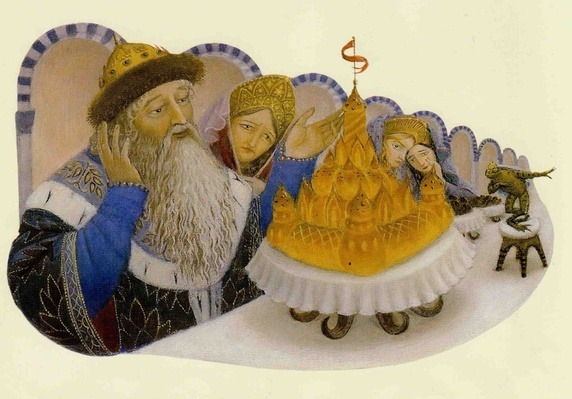 Garrone’s Archimede Productions, Jeremy Thomas’ Recorded Picture Company and Jean Labadie’s Le Pacte will produce the adaptation of Carlo Collodi’s bestselling classic. Garrone will direct from his own screenplay. The film is expected to begin shooting in the spring in Italy. The director, according to initial statements, " will create a fantastic world of mystery and wonder, with a story full of touching moments, fun and lively. It will carry animals and fantastic creatures of Pinocchio world using a very practical approach, blending makeup, prosthetics and CGI . " Complete his journey? I wonder how that will be reflected in the film. It's been confirmed that this film will be in Italian, with Italian actors and, once again, shot in Italy. 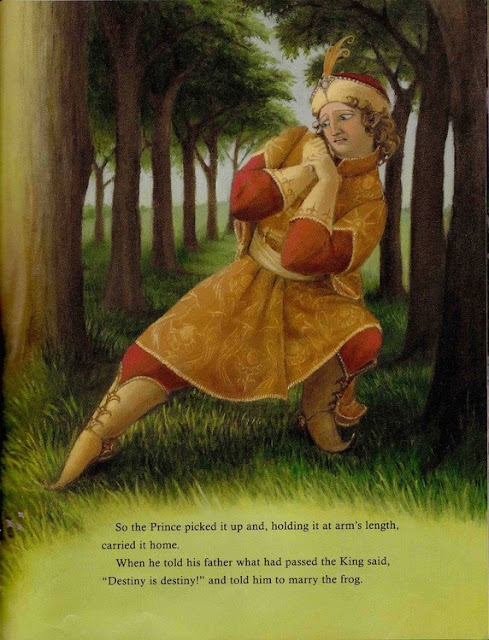 If he's making the movie for his childhood self, there's a good chance this might be more of a family film - though likely a 'Euro family version' - than Tale of Tales (which was less horrific and lusty than we had been led to believe - most things were implied, not shown). Pinocchio is sentenced to four months in prison! Also from the 1911 Italian edition of the book. Either way, we expect a much better film than Roberto Benigni's more-disturbing-than-charming effort of 2002, and look forward to seeing more casting, specifically of Pinocchio and the Blue Fairy, the latter of which may turn out to be a perfect strong female role for some lucky woman. It is what some call the effect Don Quixote: that in many, too many directors / screenwriters cinema approach a literary myth and their wings will melt. 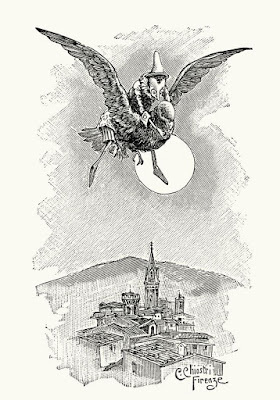 In short, the Collodi's fairy tale with its police, its circus and his coin buried under a tree by the Cat and the Fox and subsequently become a swag of gold coins - unintentional metaphor for the current speculative bubble that is scary - awaits the Garrone version. We hope to one of the most important Italian filmmakers in the world to get to the masterpiece. 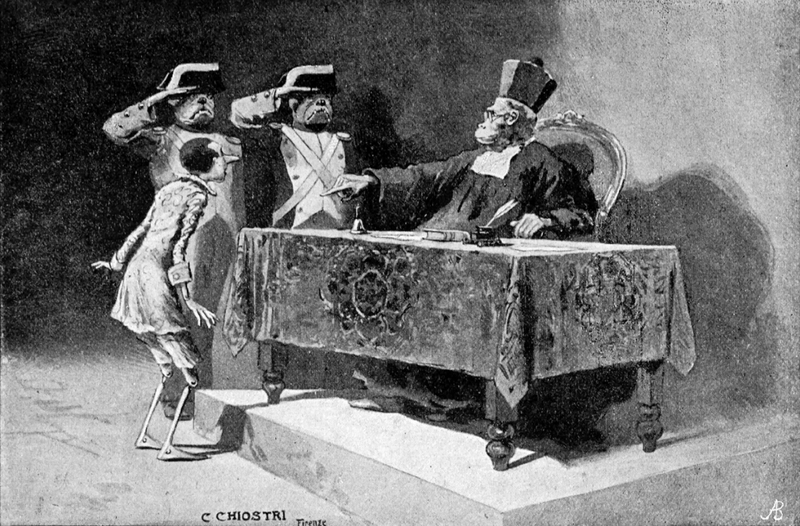 History shows that the transposition of the famous puppet does not allow half measures. Hollywood is certainly having difficulty with its many versions. There is Guillermo del Toro's stop motion, which looked extremely promising, yet has been stalled for quite some time; Robert Downey Jr's version, which also stalled for a while until Ron Howard came on board to direct not long ago, and, of course, Disney have their own live action version of their animated film, waiting in the development wings (!) too. It seems Garrone's film is already further ahead than any of these. 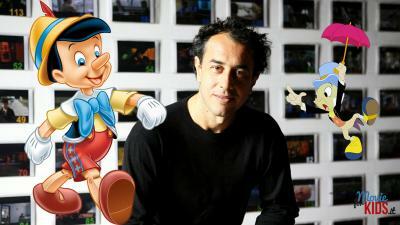 Garrone's Pinocchio is expected to be released in 2018. Issue 02 of the AFTS Ezine: 'Frog King, or Iron Henry' Sneak Peek! It may have been a little quiet on the fairy tale news front from our newsroom this week, but that doesn't mean we're not working our tails off (take that to mean what you will). We're in the final pages of layout for the Member Exclusive ezine for The Australian Fairy Tale Society, and this one is packed with excellent new fairy tale works by members on the theme of The Frog King, or Iron Henry. Above is a sneak preview of the cover and though we don't want to give too much away, we can tell you we are going behind the scenes of two internationally acclaimed artists to see their process of 'transformation', we have new short stories, essays, froggy fairy tale history, a never-released frog king song and much, much more. Going to miss out because you're not a member? Now is the perfect time to sign up and get exclusive access to our 30-ish page unique fairy tale magazine! 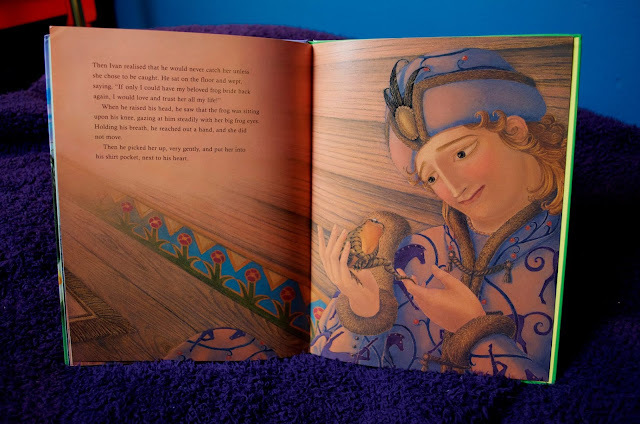 You don't need to reside in Australia to join - you just need to support the research, use and creation of fairy tales and folk who love them, in Australia. For $25 annual membership you receive the 20+ page ezine every second month (6 issues a year), discounts to fairy tale events, exclusive fairy tale reference and research lists (put together by our qualified librarian and historian), many opportunities to network with professional writers, artists and scholars, all of whom love and work in fairy tales, and opportunities for publication of your work. 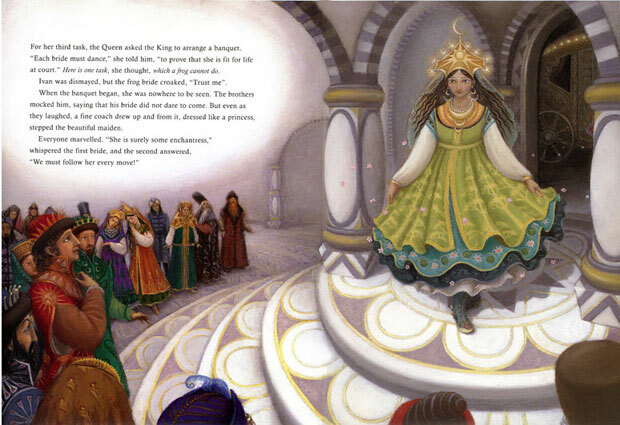 Much magic is happening in fairy tale realms Down Under these days! Join HERE today and Issue 02 will be winging your way shortly. 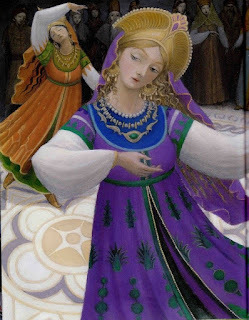 In the meantime, posts may be a little sparse as our key personnel are in crunch time, but we should be returning to our regularly scheduled - and more - fairy tale news posts in a few days. Disclaimer: Our resident Fairy Tale News Hound, Gypsy Thornton, is a founding member of the AFTS, Committee Member, and Editor and Designer for the AFTS Member Ezine. She receives no remuneration for her work and no profit is made on this publication. 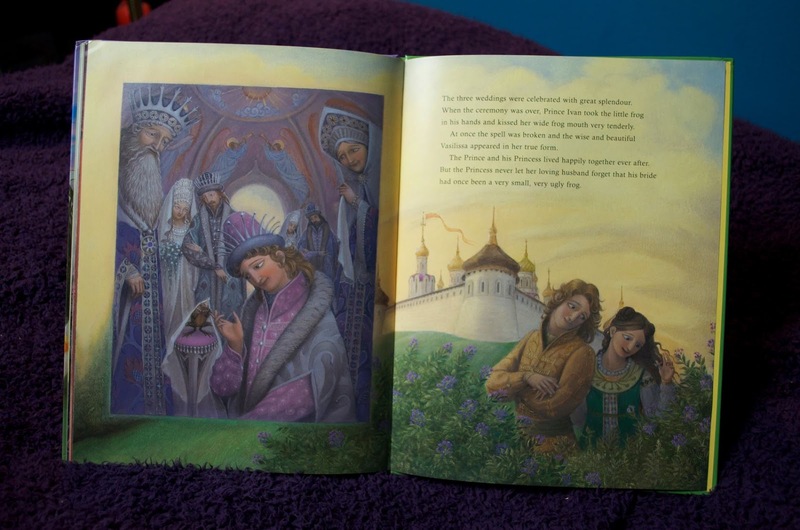 All work is done in the aim of supporting AFTS members in their fairy tale journeys. 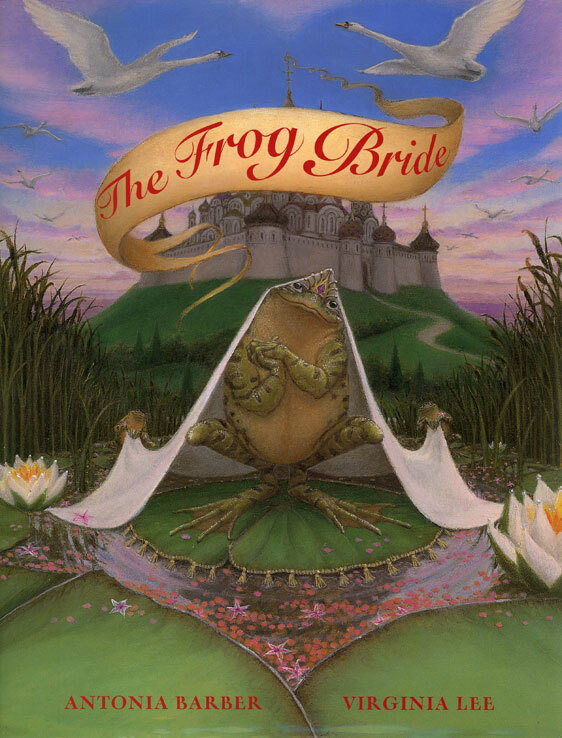 If the books of other fairy tale collectors are essentially albums, then Lang is the guy who takes tracks from all these different albums and puts them together into epic fairy tale playlists. Sometimes it’s familiar hits you know. Other times it’s stuff you’ve never heard of. Sometimes he’ll just surprise the heck out of you by including something crazy like Gulliver’s Travels. Every color fairy tale book is the equivalent of a fairy tale mixtape (or mix CD or Ipod playlist depending on your generation) all set to rock your weekend. 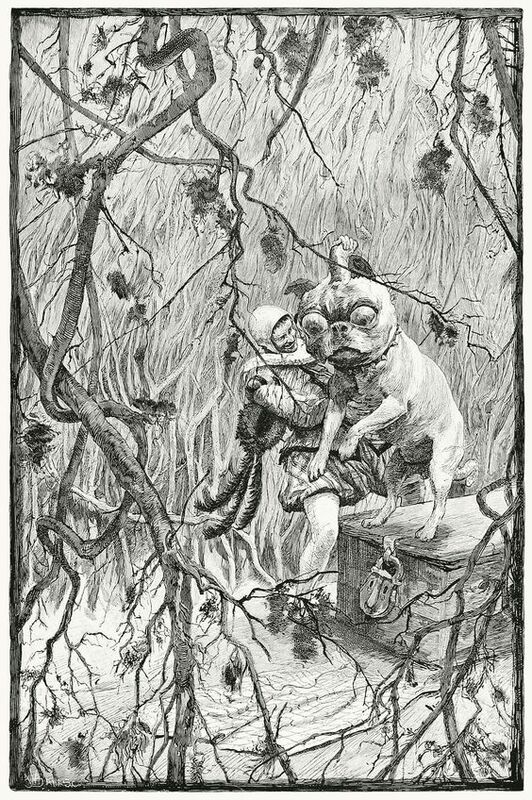 With this image (of Andrew Lang, fairy tale DJ) in mind, Adam created his own epic fairy tale anthology-mixtape and asked us to think what we would include if we made our own. 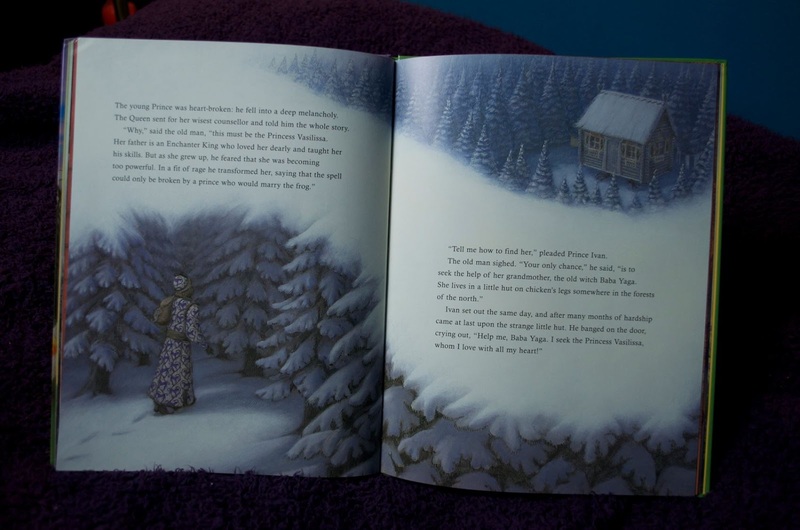 We've made lists before of favorite fairy tales we'd want to include in a book, but not one based on the "little bit familiar, little bit not, little bit surprising" premise, so we thought we'd have a go. We have a feeling, that as soon as we post it, we're going to want to do a PART II of this post. You know, for the flip side... of (Album I of the Box Set). We'd love to see your mix of 10-20 (some classic, some lesser known, some other stories altogether) as would Adam, of course. It's a good exercise in making you think about why you like certain tales too. Give it a go! 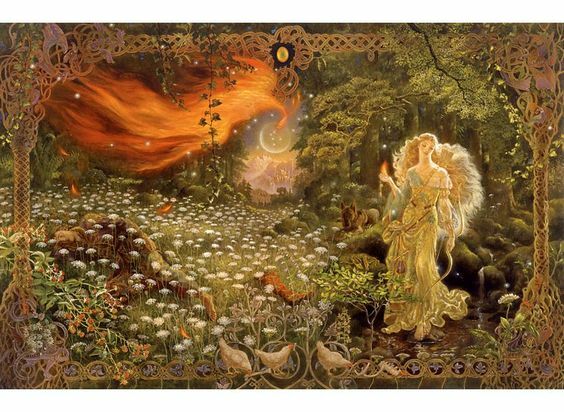 Reflecting on the rumblings in the newsroom here, wouldn't it be awesome if we had a "new millenium fairy tale bloggers collective mixtape-anthology" of fairy tale must haves? (With pictures please!) There'd be some overlap for sure (at least one of ours is on Adam's list too because it's also a "must" for all here) but there'd be a really interesting variety and cross-section of tales too. Time seems to be the answer to so many questions. The question, then, is how much? And where do you find the patience to last that long?